Paris is famed for its boutiques, museums, pristine architecture, art galleries, and monument-lined boulevards among other attractions. The Parisian culture is a lifestyle of fine food courtesy of the famed French cuisine which also credits the numerous bistros around the city and the vineyards on the outskirts that supply the wine. In actuality, the city is diverse and it is very difficult to categorize any part of it as better than the other. For instance, if you asked a random Parisian on the street to recommend the ‘best winery’ it would be difficult to get a precise answer. In essence, every neighborhood in Paris has something rather unique to offer. 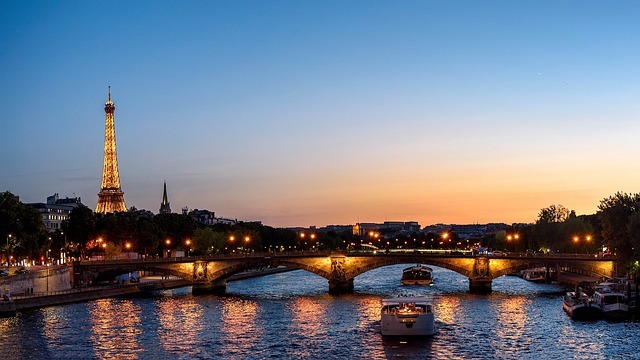 You may be traversing one section of the city where there is archaic architecture such as the famous Notre Dame Cathedral – famed for its Gothic architectural design. In another part of the city, you can try out designer attire from world-famous brands such as Louie Vuitton, Chanel, or Hermes. These fashion brands are luxury clothing with a high demand globally, which tells you something about the fashion shows and exhibitions within the city. They are huge with extensive media coverage, and always have a large attendance. If you are fond of art, then the Louvre is a great place to start. The largest art museum in the world houses rare art collections, specifically, paintings by prominent painters such as Van Gogh, Picasso, Monet, and Renoir among others. A vacation trip to Paris might as well turn into a time to explore the fashion and design culture and you may end up traversing the boutiques looking to shop. Aside from all the deluxe designs and art, another major attraction responsible for bringing millions of visitors every year is football/soccer. The local side, PSG (Paris Saint-German) is a historic football club founded in 1970. It has since then gone on to become one of the powerhouses not only France and Europe but the world as a whole. It is one of the richest football teams in the world and boasts some of the most exciting talents in modern day football. On a random day over the weekend, you can head over to the Parc de Prince, and take a tour of their home ground and see the trophies and picture archives. You can experience this and more when you book cheap airline tickets with Air France, now including flights from Atlanta to Paris.